Work injury compensation for construction workers. That's our specialty. If you’ve been injured on the job as a construction worker, we’ll help you get the maximum compensation payments available to you. Our specialist work accident injury lawyers ask more questions and get to know you personally, so you’ll get more compensation. I’ve been injured on a construction site. What should I do? Whether you’re a builder or an employee – anyone working on a construction site who’s injured in an accident is likely to be entitled to claim workers compensation. Your employer will need to notify the insurer within 48 hours of the accident, and you’ll need a certificate of capacity from your doctor that provides medical evidence of your injury or illness. This certificate is your record of how your injury affects your ability to do construction work. 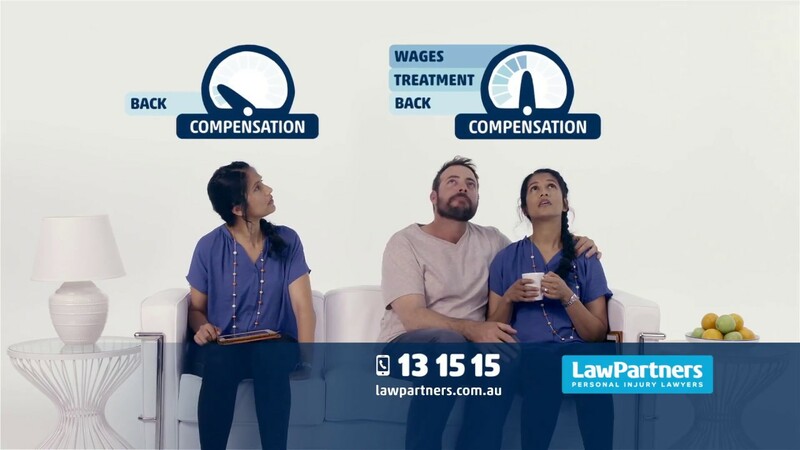 If you’re unsure what to do, it costs nothing to call Law Partners for advice, and we’ll put you straight through to one of our workers compensation lawyers. A construction worker injured in the workplace may have rights to claim common law damages. A common law damages claim under the workers compensation system is known as a work injury damages claim. A work injury damages claim is made when an injured worker sues their employer for damages due to negligence, to cover loss of past wages and loss of future earnings capacity. If you’re a sub-contractor and you’ve been injured on a construction site, you’ll need to establish that you were working under the care and control of a “deemed employer”. If you’re a sole trader with an ABN number, then you might need to claim under your own insurance policy. One of our specialist workers compensation lawyers will be able to explain over the phone where you stand. How are my weekly payments calculated? Your weekly payments will vary over time, and are calculated based on your pre-injury average weekly earnings (PIAWE). For the first 52 weeks, the PIAWE is basically the average of your weekly earnings for the 12-month period prior to your injury, including regularly paid overtime, bonuses, shift allowances or penalties. After the first 52 weeks, PIAWE excludes overtime, shift allowances, bonuses and penalties.